Do you want to learn how to make money online with a blog? Yes, teach me! Subscribe for your first lesson! You can get this for R189 per month. You need a post paid telephone line with ADSL activated (Axxess can do this for you at no extra cost). You need a modem which you can buy at most computer stores (and the know-how to change settings). Afrihost is giving away 1GB of ADSL Bandwidth per month to every South African. You'll need to send them a copy of your South African ID (for RICA - The Regulation of Interception of Communications and Provision of Communication - related Information Act). The sign-up process is explained step-by-step and even has a video that goes into detail about what exactly ADSL is for the technophobes and old school peeps. This is a bold move from Afrihost and deserves praise. Many ISP’s (Internet Service Provider) and even companies from different industries can take something out of this and help ease the country in this time of economic turmoil! Everything is going up, petrol, food, electricy, etc. , but here they’re offering you free internet! The only thing stopping you now is a Telkom line which is easy to get now that they've improved there customer service. There are many ways to get free installation of your Telkom landline, but that is a topic for another blog post. There is no catch, but they do say they reserve the right to take the offer away at anytime and if you do find yourself running out of data you have many ways to buy more, even through SMS! Another ISP that has caught on is Axxess. Axxess gives you 1 Gig Free per month. R10 in your account if you use your credit card to complete the checkout process. One thing I don't like about this offer is that they require you to use your credit card or authorise a debit order. The balance is clearly displayed as R0, but you still have to fill this in. I suppose it makes it easier for you and Axxess if you do want to purchase anything else further down the line. This is limited to one account per Unique ADSL line. 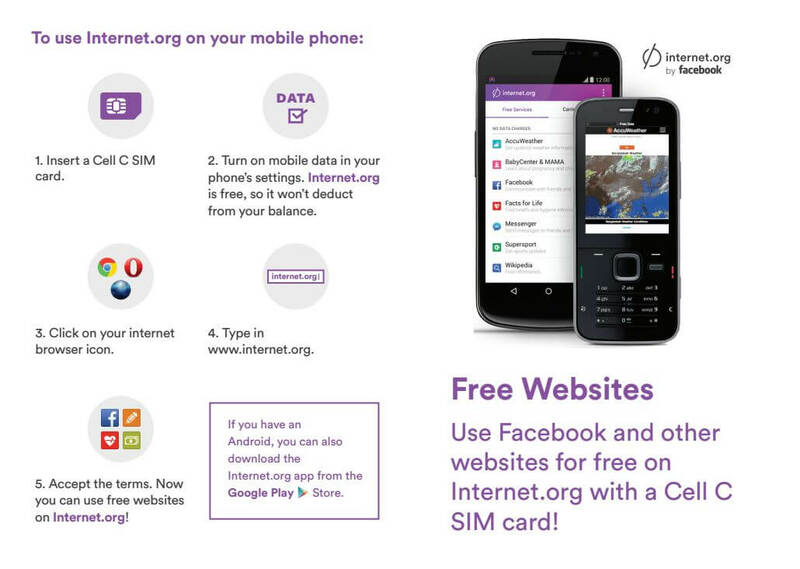 Cell C has partnered with Facebook to bring you internet.org. 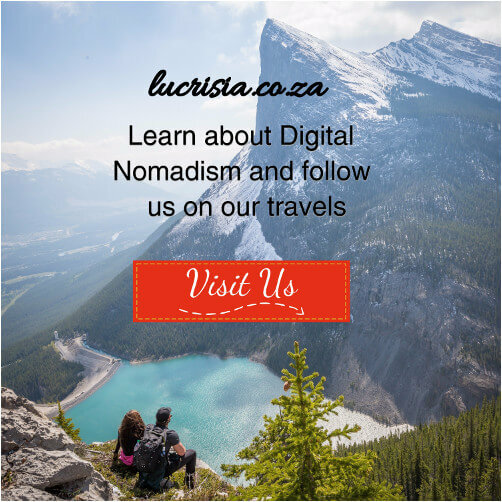 This awesome intiative takes free internet in South Africa to a new level bring you content from popular sites like Facebook.com, Wikipedia, WikiHow, OLX, Gumtree, Careers24 and more! See the tweet below for a full list of sites accessible through internet.org. Project Isizwe is paving the way to get free internet in South Africa. Project Isizwe has already setup free WiFi in Tshwane where 1 million unique users have benefitted from this service already! Their goal is to make WiFi accessible to everyone in South Africa. "There will be 300MB per month of free browsing available to users on their first connection and thereafter 250MB monthly. A specialised content portal has been devised which allows unlimited browsing of government websites, as well as a digital literacy course. I have used the 1st three services before and they provide good service. The last one I haven’t had a chance to try, but if you have please let me know!If you know of any other places where you can get free internet feel free to tell us via the comment section. Kurt is passionate about helping South Africans learn about the Internet. He believes that internet literacy can improve a person's life by providing access to opportunities in every aspect of life. You should try places where there are free Wi-Fi Hotspots. You will be able to browse for free there. As for cheaper 3G, CellC is by far the cheapest! Check out Cell C’s Data bundle rates. Hi there when I enter capitec.com/za it automatically goes back to US and when I want to link my Global One card, it only allows me to link a US bank account. What must I do please? Please follow this tutorial to link your Capitec Global One Card to your PayPal account. Do you want to learn how to make money with a blog? © 2019 Kurt Wyngaard. All Rights Reserved.